Use Loc8's dedicated financial tools to win more jobs and get paid on time. Loc8 offers a complete overview of all staff and collaborators within a company. From this same platform, it is very simple to create work orders and set appointments to then assign to technicians for completion via the powerful and intuitive Loc8 mobile apps. Loc8 Mobile offers a direct integration to the Loc8 platform with real time dispatch and notifications of new work orders and updates. It is the in-field technician solution for Loc8’s licensed users. 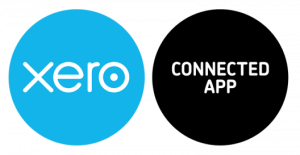 Our dedicated and custom Xero integration tool supports work order, appointment and line item separation per invoice, as well as one-way customer sync and two-way GL code and status sync. Invite your team and work together on financials. You can collaborate over your up­ to­ date numbers.